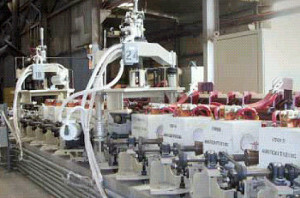 installed on an austenitizing and temper line for the production of high strength casing and tubing. ERW pipe is quenched to essentially a full martensitic structure then tempered. Ajax TOCCO Magnethermic pipe heating lines are known industry wide for producing superior metallurgical and physical properties in the final product. These benefits are achieved with the fast heating rates and temperature control possible only with induction heating. 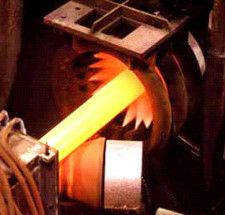 tempered at production rates up to 120 tons per hour.